ADS is proud to announce that the latest SC21 Achieving Supply Chain Excellence (ASCE) Event will take place at the Manufacturing Technology Centre. SC21 is the largest supply chain improvement programme in the UK Aerospace and Defence sector. At the previous 2018 events we reached the 12 year record of attendance, bringing together an audience of over 250 professionals, representatives from leading customers and prominent manufacturers. 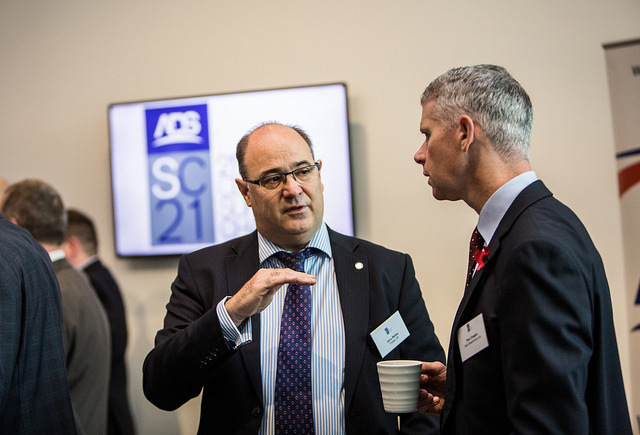 This event provides an excellent networking opportunity and gives attendees the chance to meet with the ADS SC21 project team, industry-leading exhibitors, primes and the Ministry of Defence. Case study examples of best practice from industry. During the event you will also be able to talk with SC21 Bronze, Silver and Gold Performance Achievers, to learn how they improved their business. Places are limited, so please book your attendance to the SC21 ASCE event in time, to ensure your presence and to not miss the opportunity. The conference also offers table top displays giving companies the opportunity to raise their profile and showcase their products and services. Please note that these will be sold on a first come, first served basis.